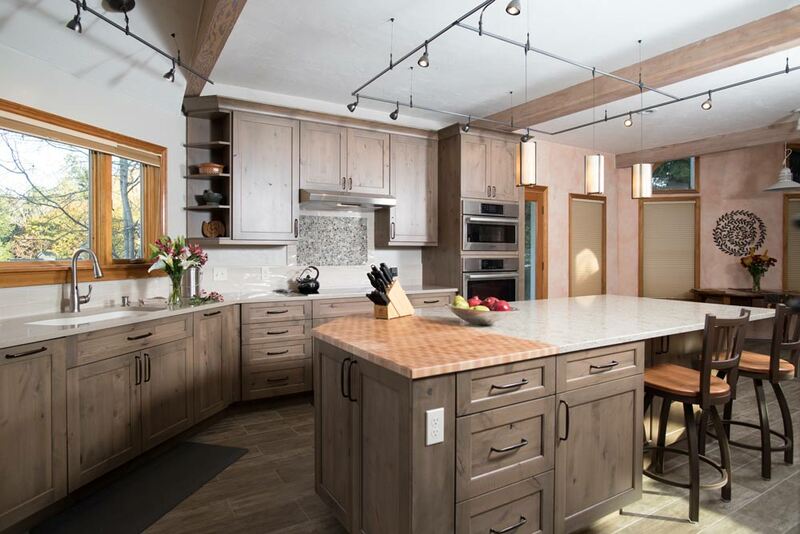 A few years after completing their master bath, the client asked us to return to make their very dysfunctional kitchen...functional. 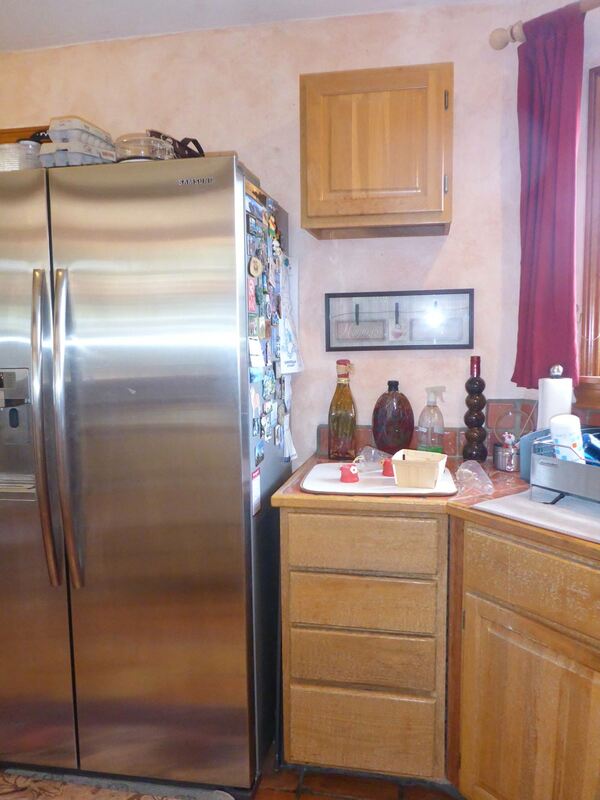 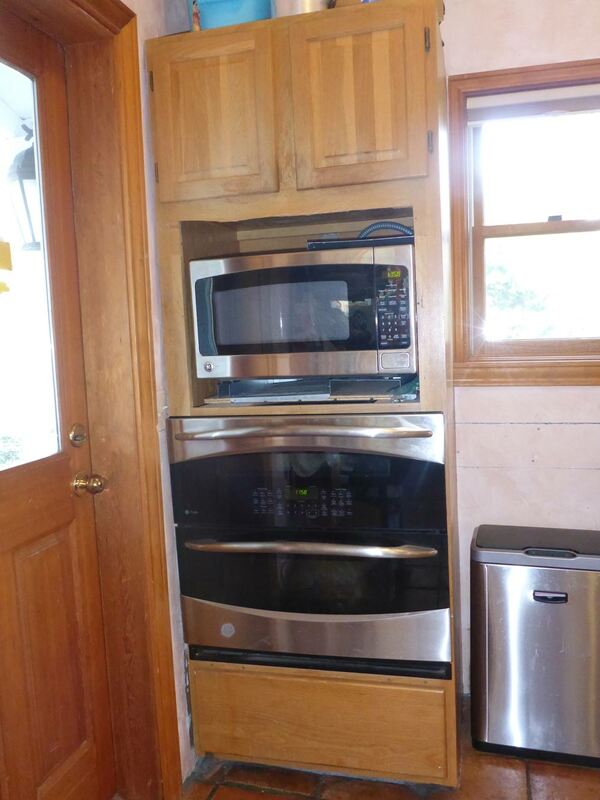 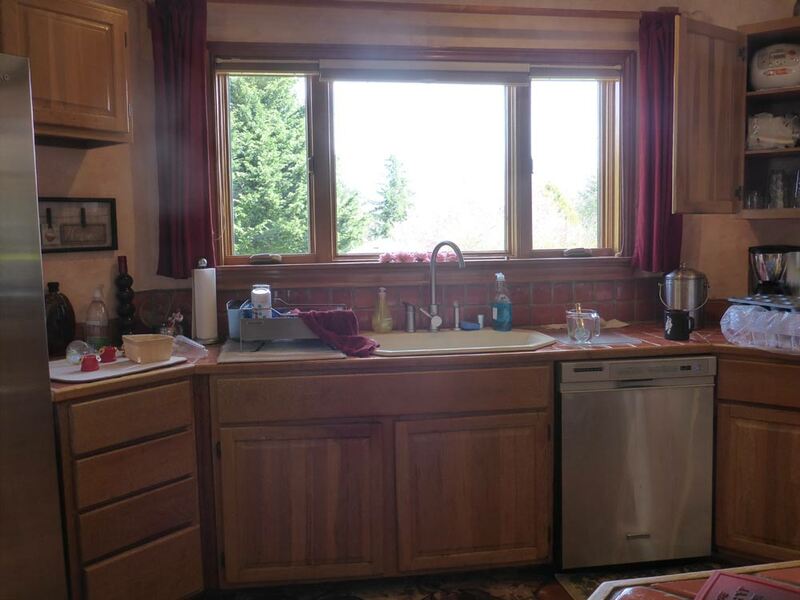 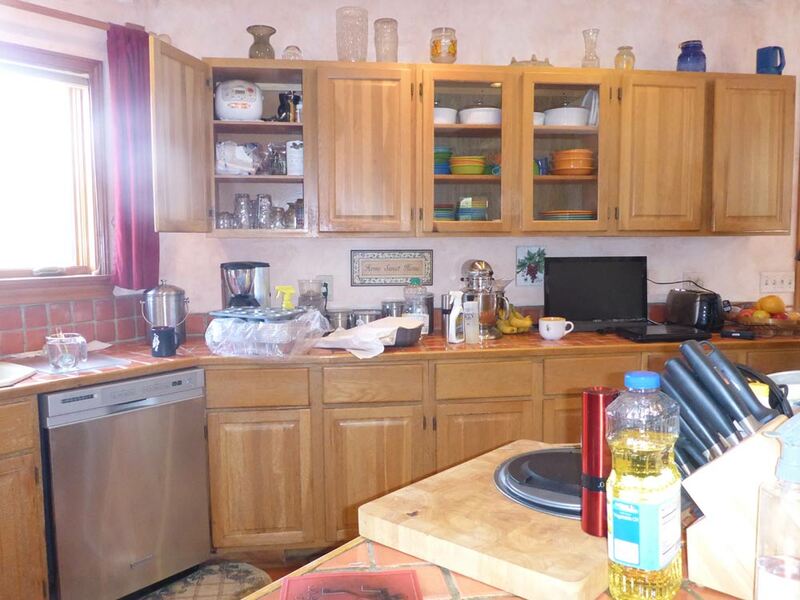 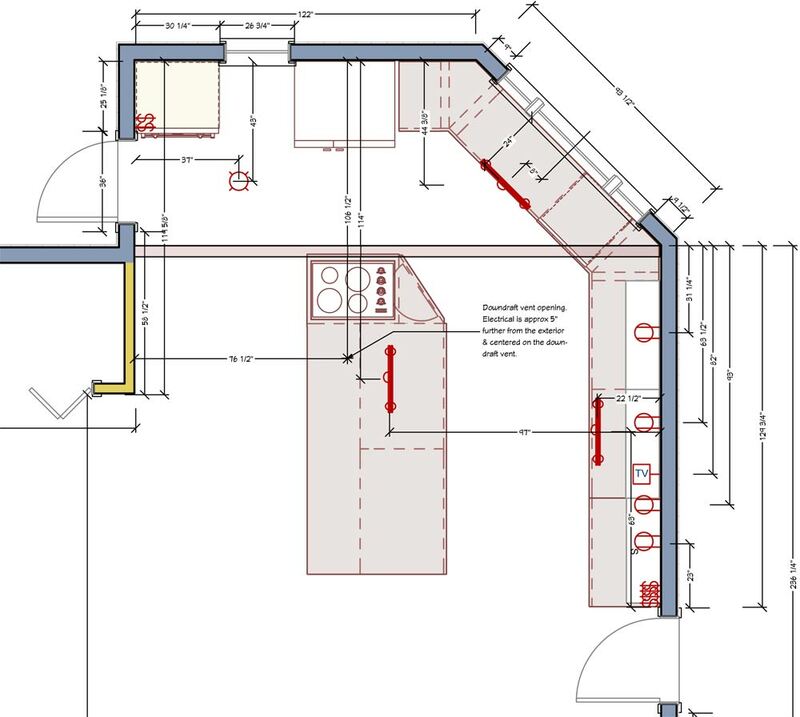 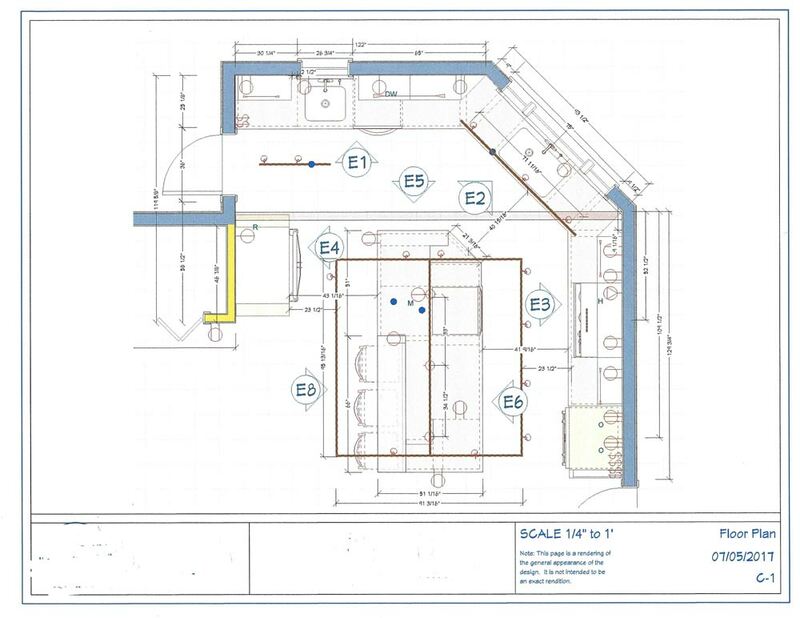 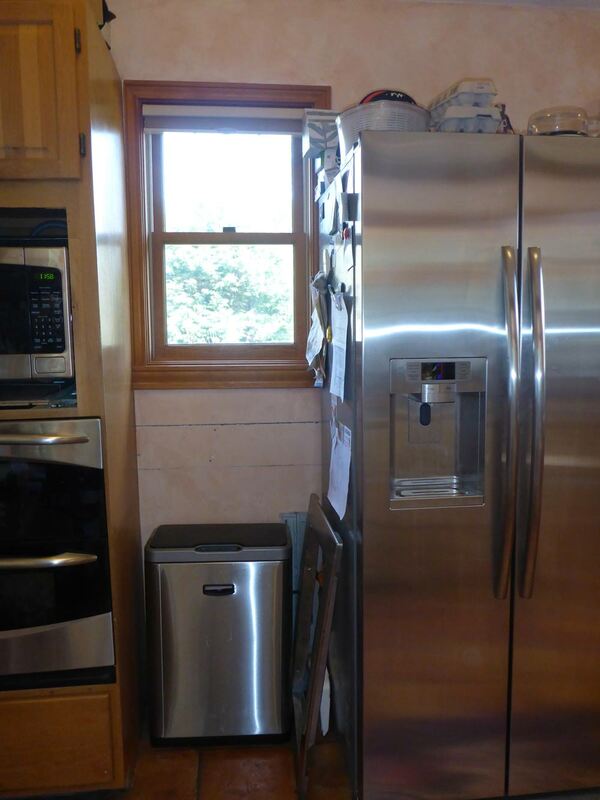 Failing appliances, tile countertops with large grout joints, inadequate lighting/storage and terracotta tile floors made for an unattractive space that was difficult to work in. 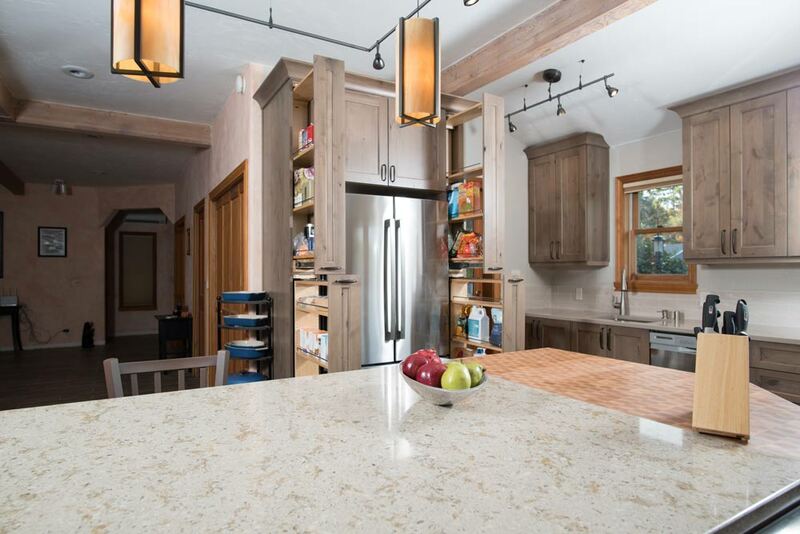 On the top of the wish list was more functional storage (pull-out pantries, chef's pantry, pop-up mixer, tray divers, pull-out trash, pot and pan drawers, roll-outs, etc. 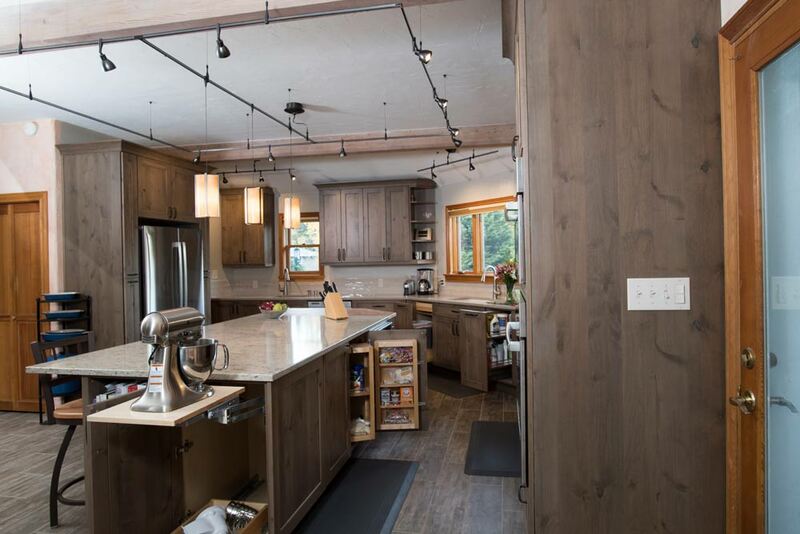 ), more counter space with electrical outlets on the island, a beautiful end-grain maple butcher block counter across from not one but two sinks, an induction cooktop, a steam oven and more lighting options (cable and rail and under cabinet lighting ensures there is a good light level for every task). 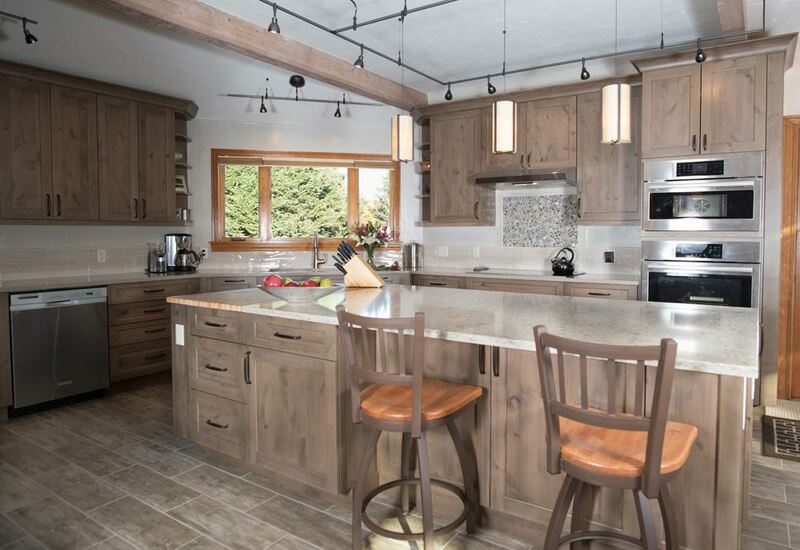 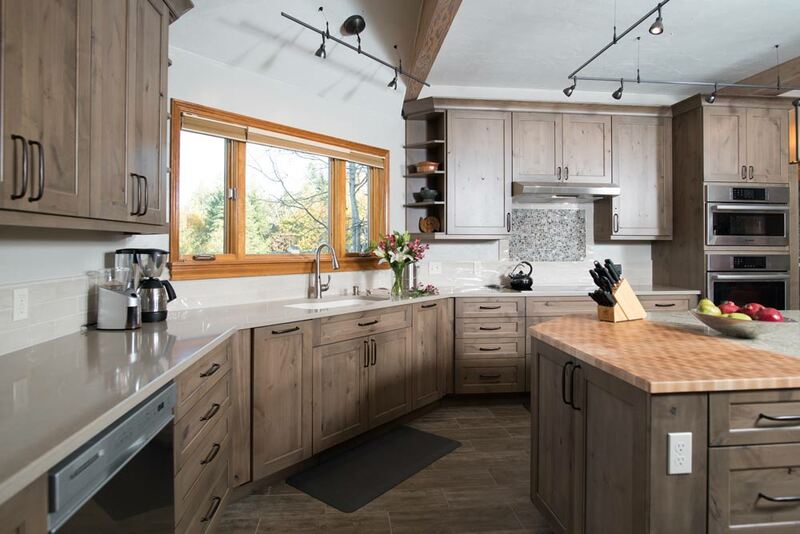 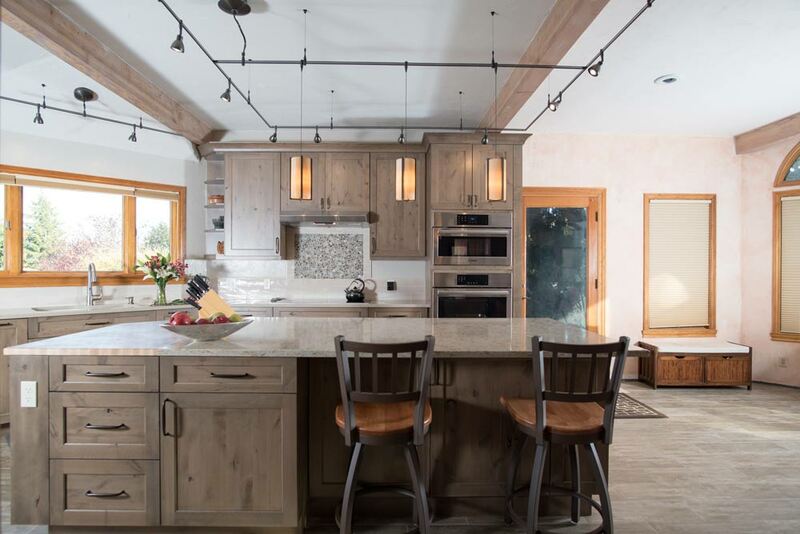 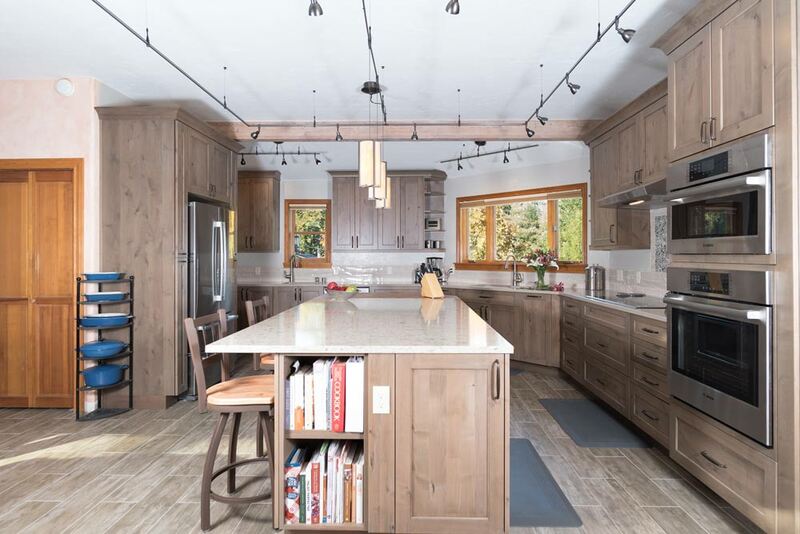 Beautiful, functional and durable, these rustic kitchen finishes pair well with the homeowners' casual lifestyle and their three four-legged children.